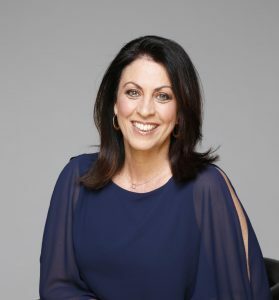 Karen Livingstone has been raising awareness of gynaecological cancers for more than 15 years and was recently nominated as a Victorian finalist for the 2018 Australian of the Year Awards. She is this week’s Changemaker. Ambassadors at the Charlie Brown Lunchbox fundraiser for Save the Box: Karen Livingstone, Jana Pittman and baby Jemima, Shelly Horton, and Charlie Brown. Livingstone lost her mother and aunt to ovarian cancer, and was inspired in 2001 to co-found Ovarian Cancer Australia, an organisation helping to support and give voice to those affected by the disease. She ran the organisation for nearly five years as CEO, and soon after was invited onto the board of Australia New Zealand Gynaecological Oncology Group (ANZGOG). Now, Livingstone is set to become development officer of philanthropic grants and major donors at ANZGOG, which is the peak national gynaecological cancer clinical trials organisation. 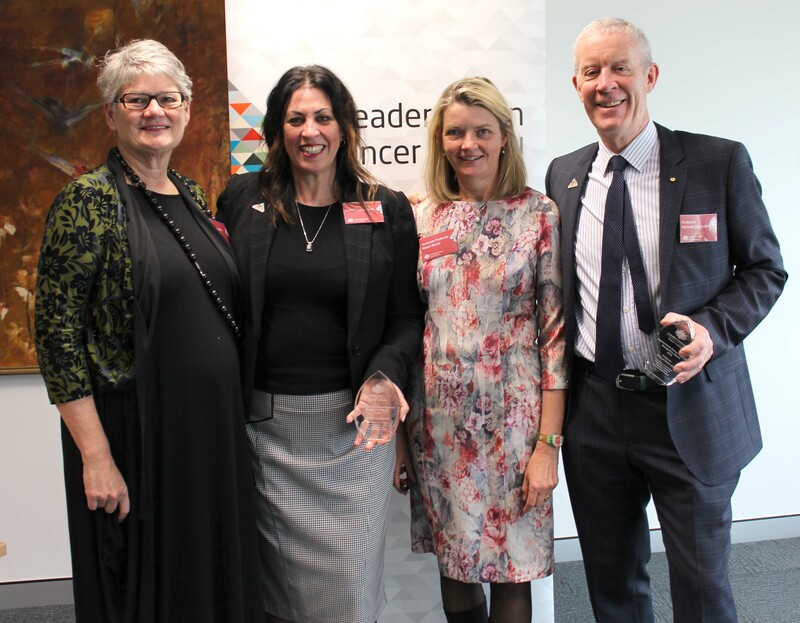 As recognition for her tireless work as a cancer crusader, Livingstone was awarded Research Australia’s Advocacy Award in 2014 and the Jeannie Ferris/Cancer Australia Recognition Award for Gynaecological Cancer in 2016. In this week’s Changemaker, Livingstone talks about her personal experiences with cancer, her new role with ANZGOG, and why she encourages people to find their voice and turn the volume up. How did you come to be involved in the not-for-profit sector and why are you passionate about creating awareness for women about gynaecological cancers? In 2001 I actually lost my mother to ovarian cancer. And her sister also had the disease. At the time, we never knew that it ran in families, so as a family unit we felt very devastated that we didn’t know in advance. Potentially my mother could have made different decisions given that her sister was already diagnosed. 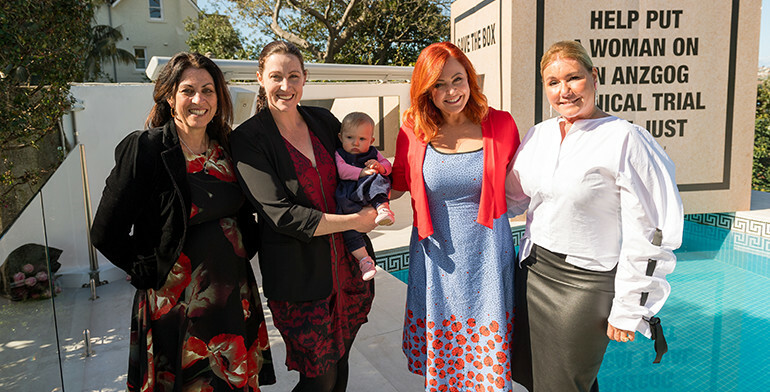 So myself and four other people decided to get together and actually found an organisation, which was then called Ovarian Cancer Network and then subsequently became Ovarian Cancer Australia. 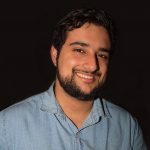 I ran the organisation for nearly five years and I’m very passionate about getting information out to women with regards to the symptoms, and also what they needed to do to actually to pursue their doctors and ensure that if they were experiencing symptoms that it wasn’t ovarian cancer. Because unfortunately it is actually detected later rather than early. And so we wanted to put an emphasis on women actually being in control and understanding what they needed to ask for. What were the challenges involved in having to found and run your own charity? Well as a start-up it was immensely time consuming. But certainly from our perspective, we were embraced by the gynaecological cancer community which was great as consumers, and it was actually the first time that consumers had worked with gynaecologists and the gynaecological cancer community. Certainly there was a great need to get symptom information and awareness information out. However it was time consuming because we started the organisation on a volunteer basis. And certainly we wanted to leave no stone unturned, in terms of the opportunity to promote the need for women to know more about ovarian cancer. How did you come to be involved with ANZGOG and what will your new role entail? So nearly 10 years ago I was invited on the board of ANZGOG, which is a collaborative of all the clinicians and medical professionals working in the gynaecological cancer space. We know that any progress with regards to treatments for gynaecological cancer or for cancer full stop, has actually come out of clinical trials and ANZGOG is the peak body for gynaecological cancer medical research in Australia and New Zealand. While I’ve been a volunteer board member… I have resigned from the board and will begin a new position as development officer for ANZGOG. So I actually will be spearheading a search for philanthropic and also major donor funds. Certainly with the research that ANZGOG does, we are only limited by the amount of funds that we can acquire with regards to our agenda, and our agenda is very much about quality of life for women and also improved survival. And the reason I’ve taken this role is because I really believe as a cancer advocate and a gynaecological ovarian cancer advocate, that my skills can be best used bringing donors and bringing philanthropy along the journey. I have an absolute intricate understanding of this organisation and know the benefits and the progress that can actually be made. I really think that it’s time that we start to invest in gynaecological cancer and ovarian cancer so that we can improve survival rates for women who are diagnosed with this. How does it feel to be nominated as a Victorian finalist for the 2018 Australian of the Year Awards? I was actually nominated by the community, so I was immensely proud to be recognised. And for me it was a lot of work obviously, and personal work too, because when you lose somebody you actually want to make a huge difference. To be recognised by the community was even more special because it meant there were people in the community that understood and appreciated everything we went through to found the organisation. And personally, we want to really take out all stops to ensure that we can change gynaecological cancer and ovarian cancer in Australia. We are a very smart country in terms of medical research, and certainly I think that’s reflected by the collaborative effort of ANZGOG both locally and internationally, and with its 800 members across the two countries. Livingstone receives the 2016 Cancer Australia Jeannie Ferris Award. You have been with ANZGOG almost 10 years now. Where would you like to see yourself in another 10 years’ time? Where I would like to see myself, is that I’ve been very successful in raising funds for ANZGOG’s research. And I would like to see our survival rates increase so that women can be diagnosed and know it’s not a death sentence, that they can survive. And life never goes back to the same but they can live a life which actually has quality of life. And I want to live in a world where there is no cancer. I certainly want to live in a world where women aren’t being struck down by these types of cancers: Ovarian cancer, endometrial cancer, vaginal cancer. All of these cancers have typically had a kind of stigma around them because they are the reproductive gynaecological areas for women. And really we need to open a dialogue and get women more freely talking about this amongst themselves. That’s probably the hardest question… I have an interest in the comedy fraternity. Comedy is a big piece for me and as they say, laughter is the best medicine. I have two children, so I get great benefit out of what they do as well. For myself, I am very focused on living a healthy life and living my best life. And I’m very into clean food sources and making sure that in my life I give myself the best opportunities to live a long life. And I do that through meditation and yoga and lots of good clean food. Do you have a favourite saying that guides the work that you do? I do have a favourite saying and it’s my own. I like to say to people: “Find your voice and then turn the volume up”. That’s certainly always been my belief. We can all sit back and let other people rectify or make change in our community. But every individual actually has the opportunity to make a difference and to make change. And by finding your voice and then turning up the volume, you can be assured that you’re actually contributing to the community. And I’m very passionate about women and I certainly want women to survive and to be given the best chance of living a full life.